The holiday season is quickly approaching. Whether you’ve decided to participate in the big shopping days like Black Friday, Small Business Saturday, Cyber Monday, and Giving Tuesday, or not, this time of the year makes up a big portion of sales for retail businesses. Without a little bit of extra work, it can be challenging to draw people into your business, even when it is the time to shop. 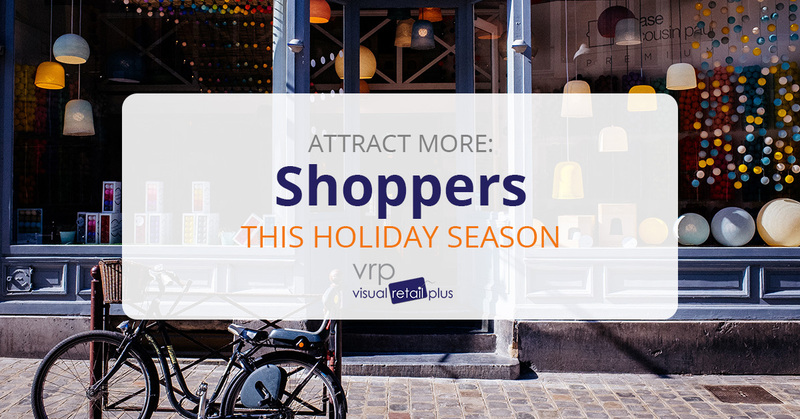 Keep reading for a few of the ways that you can attract some more shoppers this holiday season. Technology is one of the pieces that all businesses should be taking advantage of. Not only is it a great way to ensure your business runs smoothly on a day to day basis, but it can help you draw in customers too! Utilizing platforms like Facebook and Instagram can help you showcase products that are flooding into your business while also promoting sales and deals that customers can take advantage of. The holiday season is a time where you can guarantee people are looking to make purchases. Make sure that you prioritize posting on your social media profiles and updating your website so that you can expose people to your business and the opportunities that lie within your doors. The more visible that your retail business is, the more likely people are to purchase. Having a brick and mortar store means that you have twice the opportunity of getting your customers to make a purchase. Not only are they able to purchase from your business online, but they have the opportunity to come in, browse, and leave with something. We just talked about the importance of being visible on the internet in order for people to make purchases, but visibility is equally important when it comes to your store’s physical location. One of the ways that you can ensure that people find your business is by setting up a profile on Google My Business. This application makes it easy for you to share information about your physical location with individuals who are interested. From the hours of operation and location to reviews and links to the website, Google My Business makes it easy for people to find you. It’s also one of the only ways for people to find you on Google Maps. That being said, this is an extremely important step for all businesses with physical locations to take advantage of. Standing out from the crowd is always a great way to drive people into your store. Unique promotions and deals are one of the many factors that draw people into a small business in the first place. When it comes to retail, having certain promotions that either donate to a certain organization, offer a gift when a certain amount is spent, or push certain discounts are guaranteed to draw in customers and are increase the chances of a purchase being made. Whether it’s something that your business stands for on a regular basis or it’s a promotion that you have going for a small period of time, these types of promotions should be shared. If you’re donating a portion of your daily sales on Giving Tuesday to an organization, make sure customers know that so that they can see the benefit of their purchase. Now that we’ve touched a little bit on how you can drive people into the store, let’s talk a little bit about how you can drive them to continue making purchases. Whether it’s online or in the store, providing a user-friendly shopping experience is a must. Organization throughout your physical and online store is key. Not only does this make your job a little easier, but it helps your customers enjoy a user-friendly setting. As silly as this may seem, we’ve all visited a store, whether it be online or physical, that was a complete mess and had no order to it. 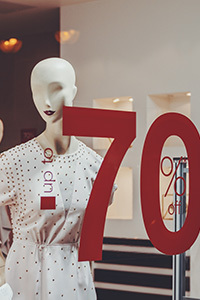 These types of shopping experiences can lead to frustration and will decrease the chances of your visitors making a purchase. Try your best to keep the shopping experience user-friendly so that when visitors do come in, they can quickly make a purchase. These are the types of things that are also spread by word of mouth when talking with friends and family. So, if someone is pleased with the ease of shopping that they had, you can bet they’ll talk about it with individuals who are interested in similar products. Each customer that comes into your store is looking for something different. More importantly, each individual that makes a purchase is looking for something different. Recognizing how each of your customers varies is one of the many ways that you can make their experience all the better and draw more people in during the holiday season. While it may take some additional time to set up a custom offering email campaign, reaching out to customers that have made similar purchases in the past and mentioning promotions that are related to those purchases is a great way to bring people back in. So, let’s say, for example, that you’re offering a BOGO sale on your shoes. If you have customers that have purchased shoes from you in the past, add them to a list and make sure that they know about this sale! These custom email campaigns truly are a little bit of extra work, but they really pay off when it comes to drawing people into your business and making additional purchases. The last point that we’re going to touch on is a quality shopping experience. Providing your customers with a quality experience when they come to shop in your store is another great way to draw in additional sales during the holiday season, and truly, any time. From the organization of the store and the quality of the products to the customer service and transaction process, making everything as enjoyable as possible is a guaranteed way to provide people with an experience they’ll want to have again. Regardless of what we are talking about, a quality experience makes us want to come back. 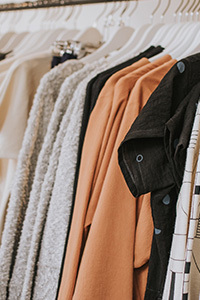 If your customers love the layout of the store, the products they’re finding inside, and the process of making the transaction, they’re definitely going to want to return. During the holiday season, taking time to recognize your customers and let them know that you appreciate them and their business is a cherry on top of a great experience. Figure out how you’re going to make your customers feel valued and put it to the test. Over the years, the team at Visual Retail Plus recognized the need for a high-quality POS system for retail businesses. We’ve written countless blogs in hopes of helping business owners discover the things that they can do to succeed. When we write out posts like this it can seem extremely overwhelming to add all these items to your plate that, we know, is already pretty full. That’s where we come in. Having streamline software and support can make running a business all the easier. Visual Retail Plus is a POS software that was designed for retail business owners, by retail business owners. We’ve figured it out! Let our team help integrate our high-quality POS and inventory management system into your small business. Once you see how easy it is to navigate and make use of, you’ll have plenty of time to focus on the various other things that you need to get done. Reach out to our team today and let us provide you with a demo of the software and show you just how easy it would be to integrate this software into your everyday business life. We’d love to be the ones that make your life even the slightest bit easier.